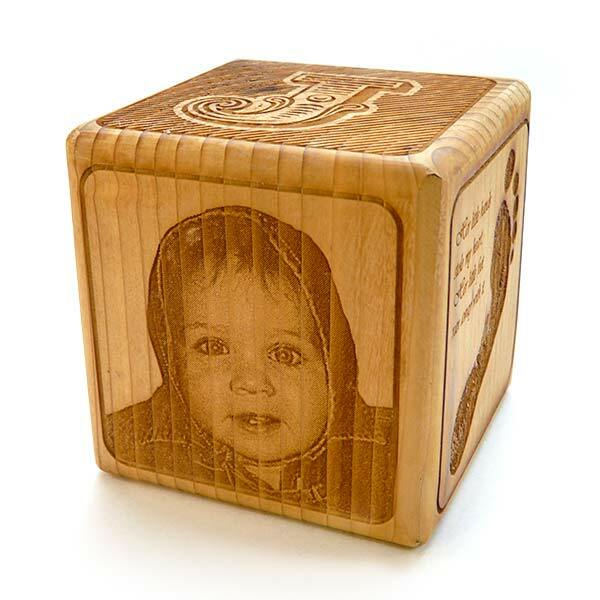 When the new parents cooing over the cool baby gifts they’ve received, these engraved, personalized baby blocks will be at the top of their list. 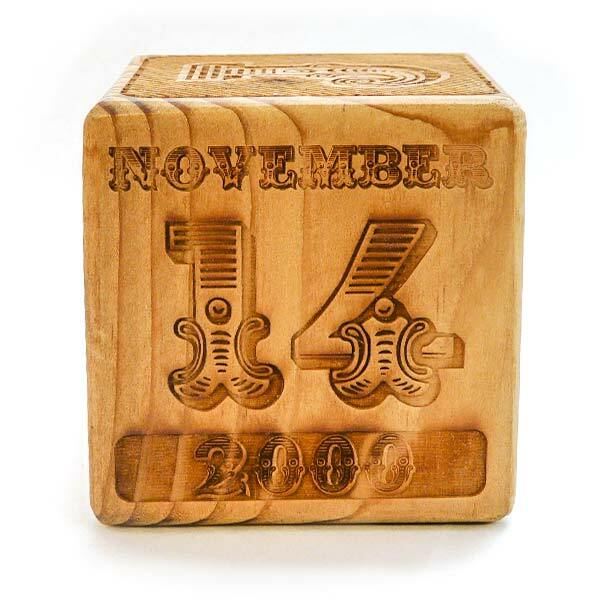 Completely customizable on 5 sides, or optionally add a small note of love from you on the bottom. Please note, some options incur additional art fees, noted below. 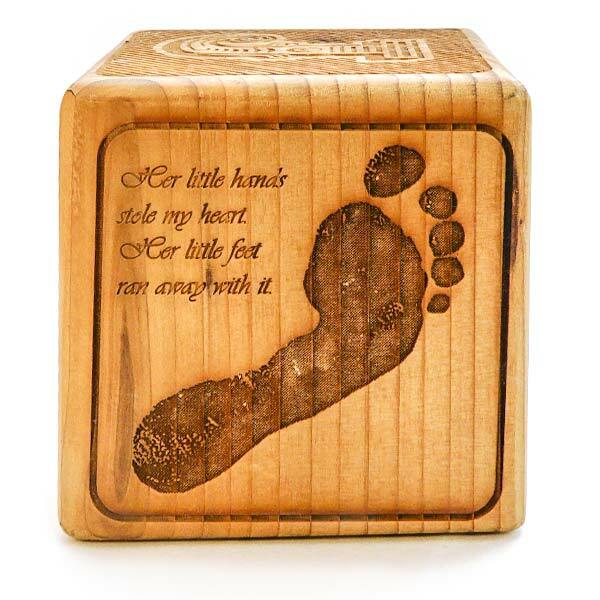 Choose from baby photo or footprint with quote “His/her little hands stole my heart. His/her little feet ran away with it”. Most customers add the baby’s weight, length, and time of birth. If you’d like less, we just enter the info you give us. 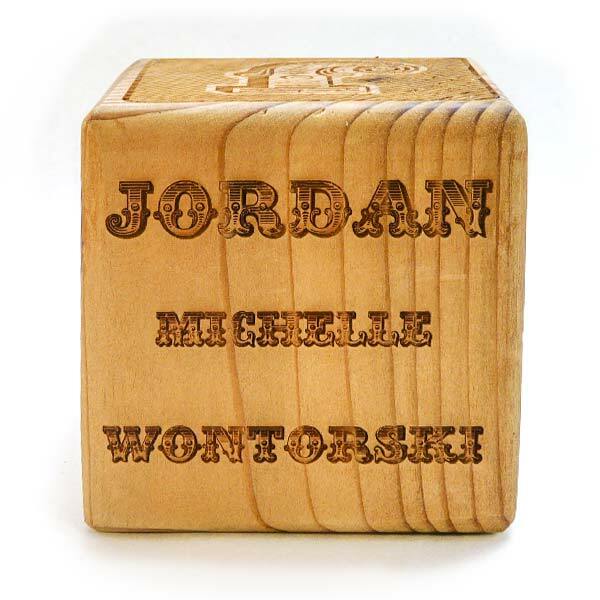 Would you like to add a special inscription from you in the same font as the footprint text? Please enter your message below. $5 engraving fee applies. 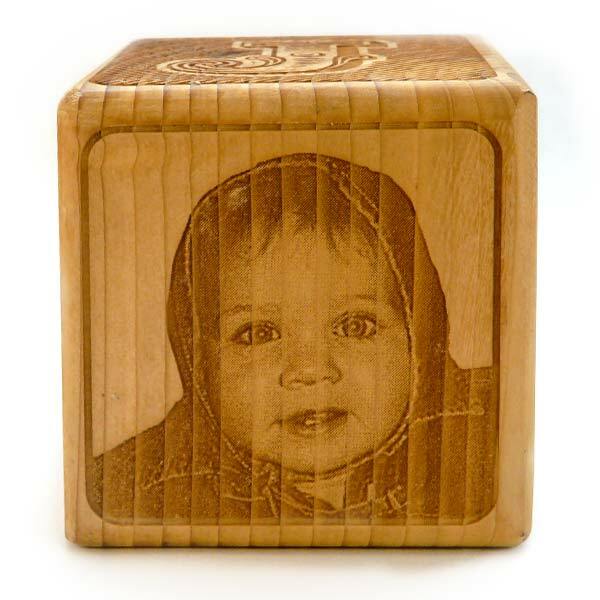 Our personalized wooden blocks make a fabulously unique baby gift idea! 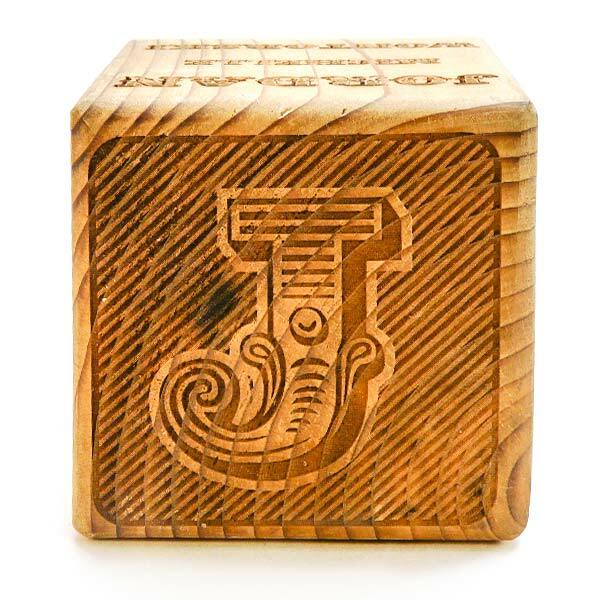 We engrave 5 sides, leaving the bottom open for a custom engraved message, if you’d like to add it. We suggest writing it in your own handwriting and scanning it to us, so baby will have something to cherish for a lifetime. 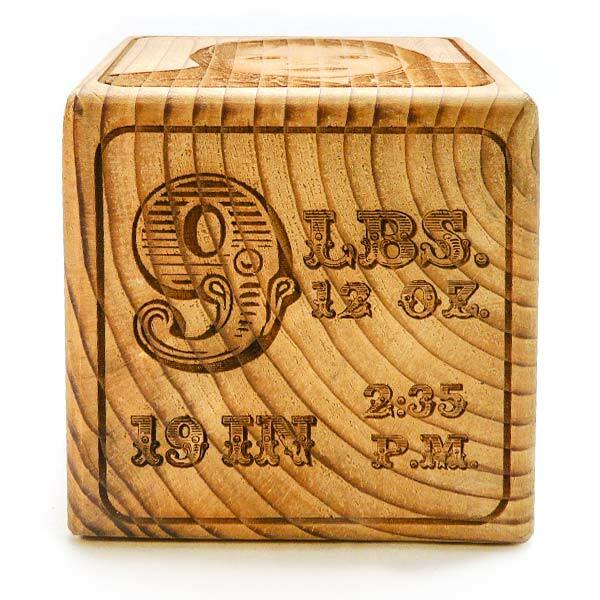 Specs: Unfinished sanded cedar block, 3.675″ on all sides.